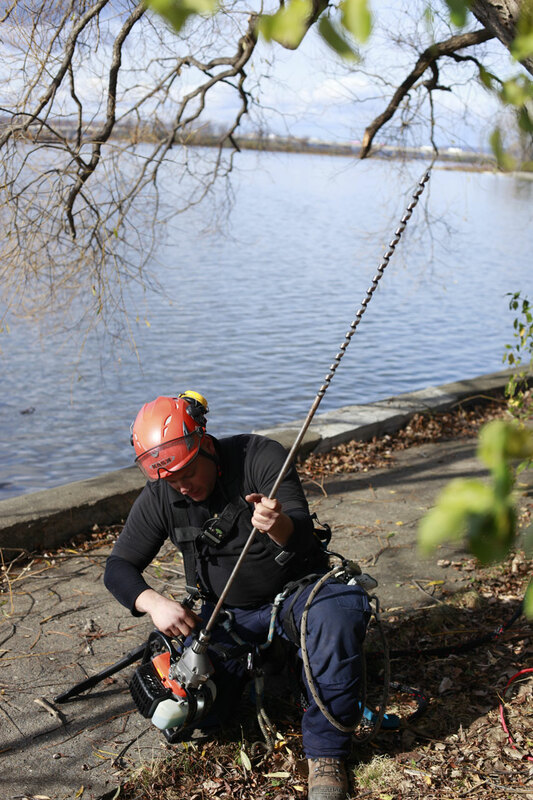 Goal of tree cabling: stabilize and reinforce the structure of trees that show signs of weakening. 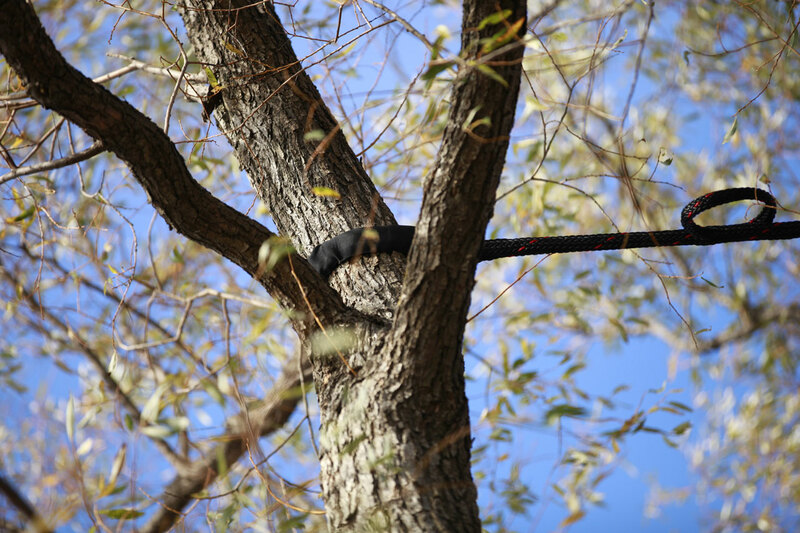 The installation of cables and rods is an effective preventive method against fissures in the trunk and breaking branches. 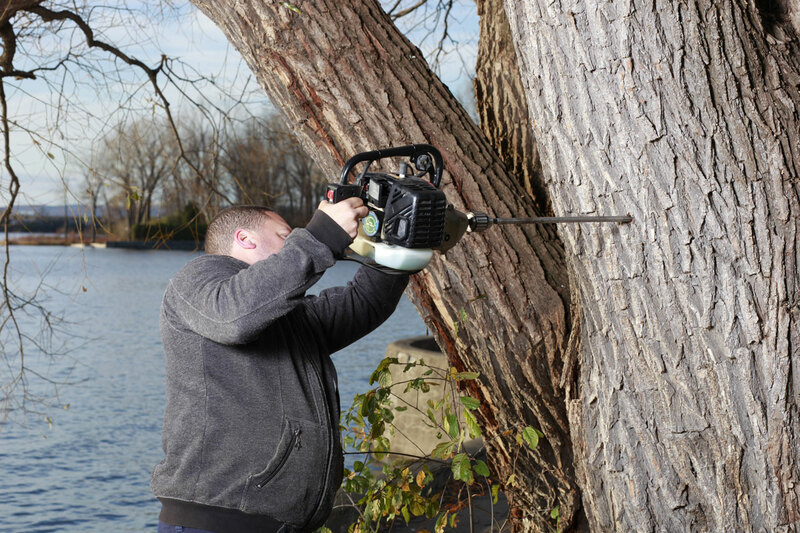 Tree guying is the stabilization and reinforcement in the structural regions in a tree that shows signs of weakening. 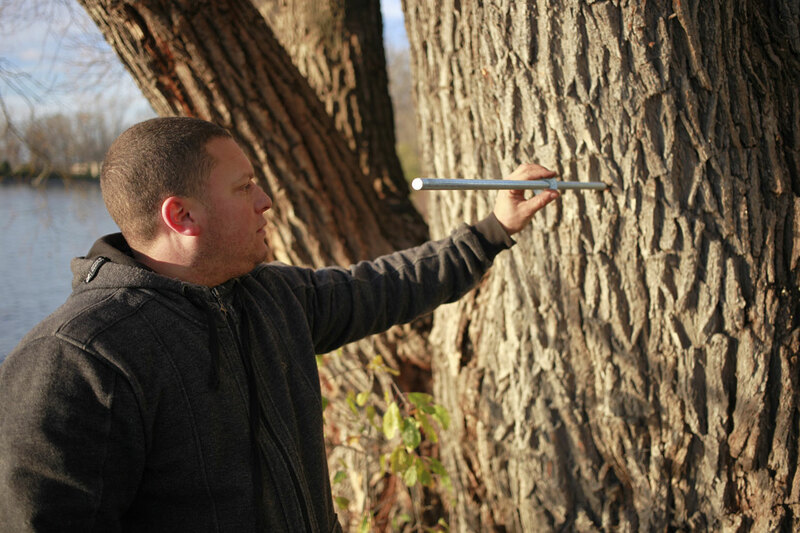 It is also possible to use this method during a plantation to stake the trees. 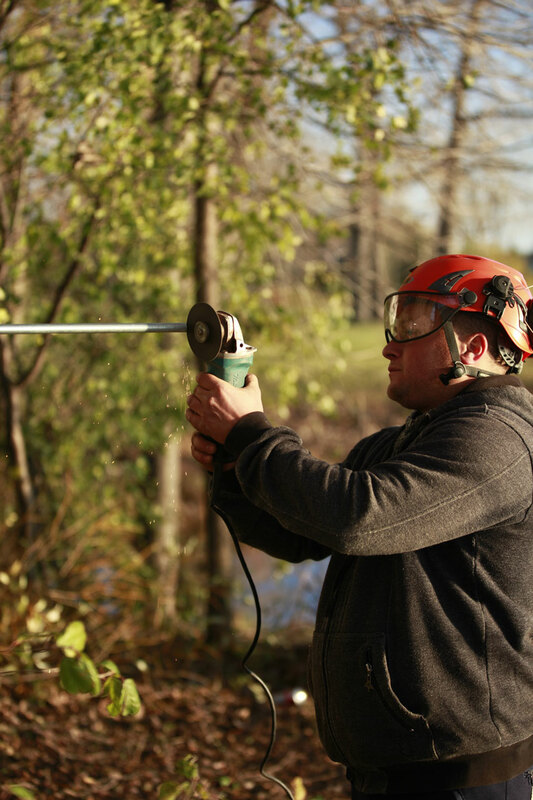 With the help of the BOA system, our arborists can install synthetic cables without damaging the tree. 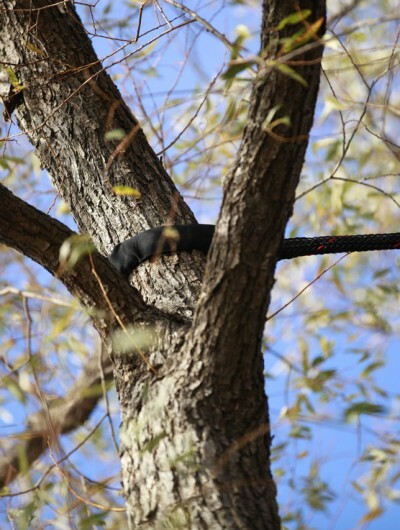 The BOA system allows to limit and control the weight and brutal shocks that can lead to branches and trees breaking during strong gusts of wind. The reliability of the BOA system is due to the quality of its cables, which are tested dynamically as well as statically to guarantee their quality, durability, and security for as long as 12 years. In addition, it is protected against UV rays, which further guarantees its strength and endurance. 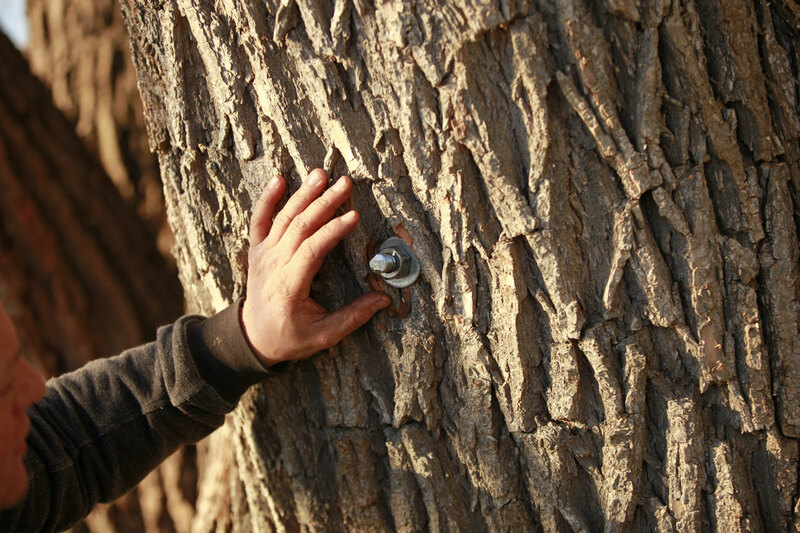 Dynamic guying (flexible) is mainly used on intact structures and branches. 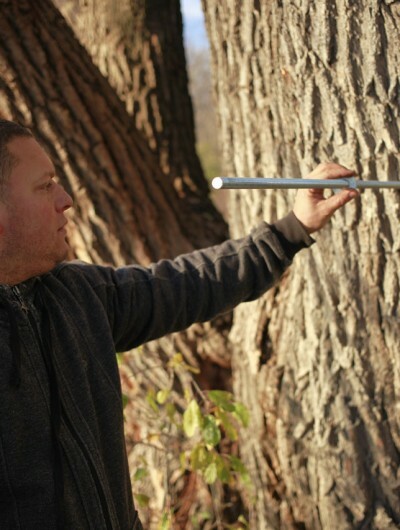 Its role is to limit the movement of said branches and structures to create a better uniformity and balance in the tree. The inherent elasticity of the cables allows to still move and develop their strength. 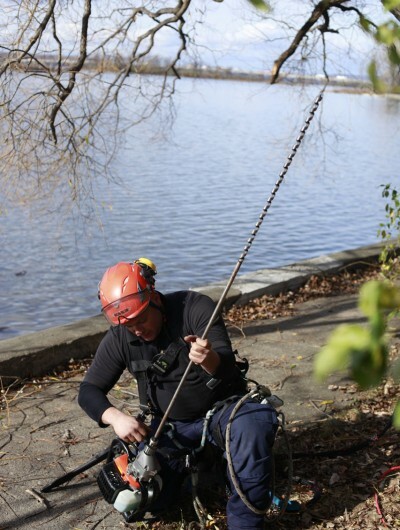 The installation of shock absorber is also crucial, because it contributes to the consolidation all the parts constituting the crown of a tree. 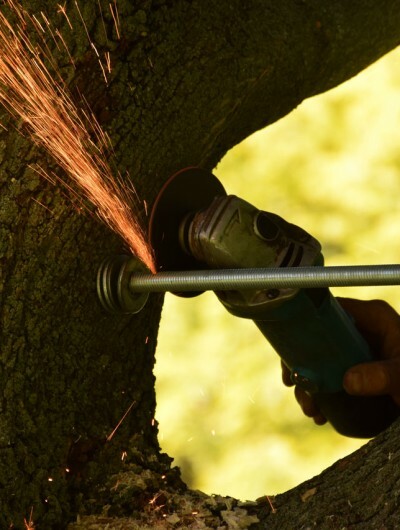 Static guying helps to solidify the structure by inserting steel rods in the trunk. 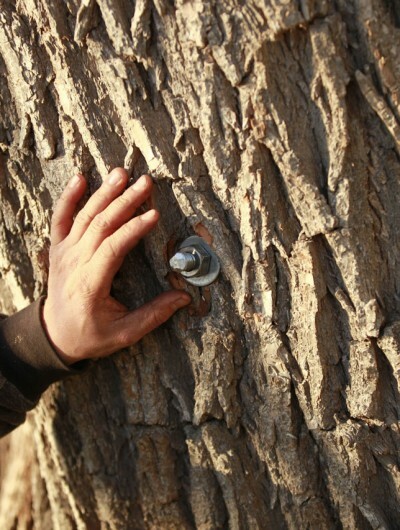 This type of guying is generally used on trees that present a structural weakness. 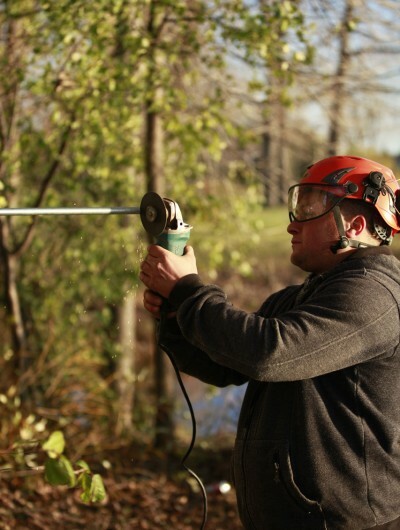 It can also be used to preserve and solidify branches that are key to the aesthetic aspect of the tree. 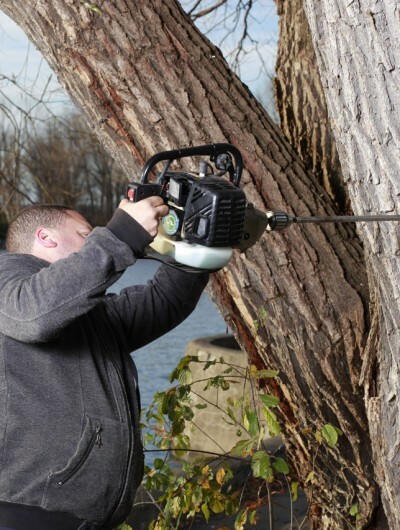 The arborists at Arbo Direct Ltd detain an excellent level of comprehension of the dynamics of trees. 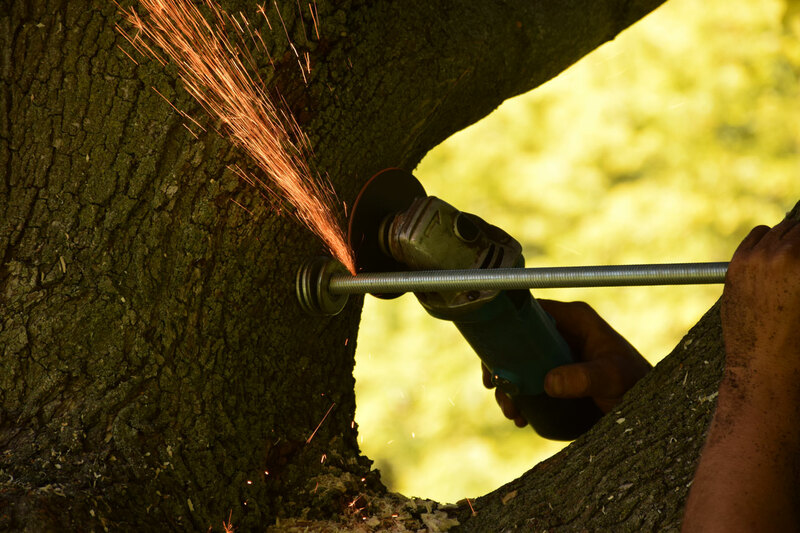 Do not hesitate to seek our help to determine the right strategies to protect and take care of the health of your trees.